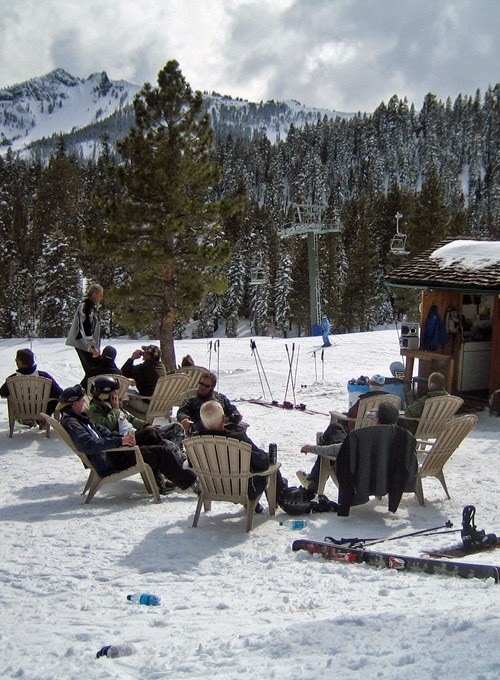 The 31st annual Snow Golf Tournament is August 12 at Alpine Meadows. The 9-hole course starts at the top of Summit Chair Six and ends at the bottom of the Alpine Bowl Chair. The game is played while wearing your skis or snowboard. Don’t worry about losing your little white golf ball in the snow, because in snow golf the regulation ball is a bright green tennis ball. Putts don’t drop in a hole. The ball just has to stop in a circle with a flag in the middle. The event provides clubs, tennis balls, pencils, and scorecards. The emphasis is on fun and the after party. Scorecards are dropped in a hat for raffle prizes. Silly costumes are encouraged. Register at the top of Summit Chair Six beginning at 9:00am and let the fun begin. If you have a lift pass or ticket, the event is free. The following video is a feature story about the event, produced by the Golf Channel.